The recep­tion of Cecil­ia Brainard’s fist short sto­ry col­lec­tion, Woman with Horns and Oth­er Sto­ries, has been extra­or­di­nary. Her myth­i­cal place Ubec has been embraced by the peo­ple of Cebu and “Ubec” has become part of their lex­i­con. Many teach­ers use sto­ries from this col­lec­tion and YouTube has stu­dent films of the sto­ry “Woman with Horns” in par­tic­u­lar. 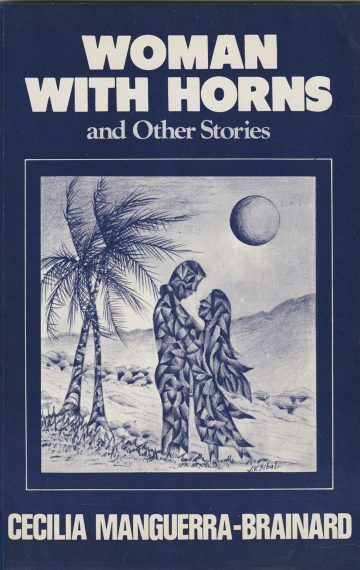 There is even a Wikipedia write-up about “Woman with Horns.” The book col­lects a dozen sto­ries that draw from his­tor­i­cal and con­tem­po­rary sources. Many of these sto­ries explore the clash of Philip­pine cul­ture with for­eign influ­ences that reached the arch­i­pel­ago dur­ing dif­fer­ent his­tor­i­cal peri­ods.